Navajo Blanket Coats are not the only fruit. 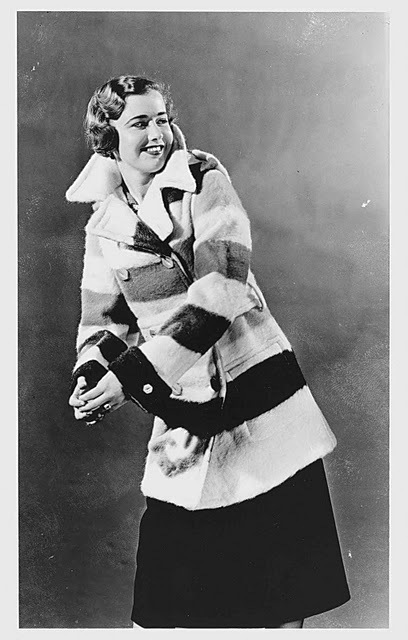 An integral part of Canada’s fashion history is the Hudson Bay Blanket Coat..they hit you right in the imagination..gotta love those pockets..
As an example of love, craftsmanship, necessity and creative courage they are genius. Looking through pictures you’ll find each one just a little bit different. Such a simple idea that still packs a punch. 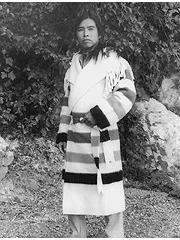 Check out www.pointblankets.com for more historical information. 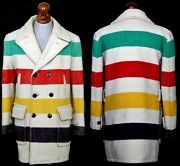 I’m not sure I like anything better than that Hudson’s Bay pattern! I have it on my bath towels! 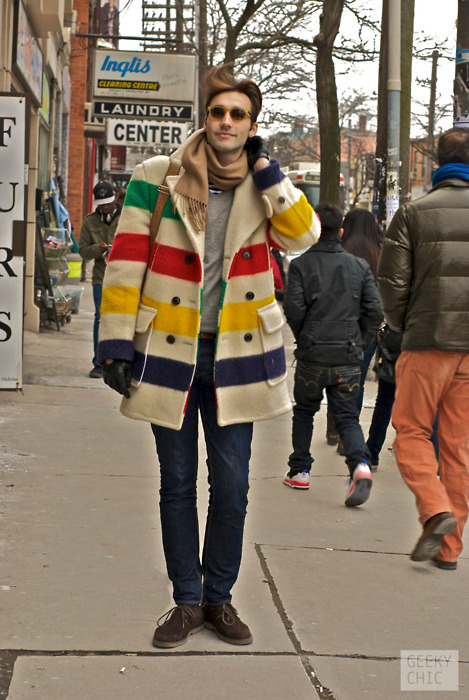 Oh the Hudson’s Bay standard…not only coats, there are blankets and other goodies. Every Canadian automatically knows what brand it is when we see those stripes! Such a nice coat with beautiful colors to add light to anybody Winter/Fall! Love the simplicity but that ‘packs a punch’ as you say!!! The colors range fits men and women and complement blondes, brunettes and red-haired, which is quite a challenge when colors are that vivid. I also have a crush on the stripe high socks in the first pic. Need them for Fall!!! LOVE these coats! So drool inducing…someday, as a good Canadian, I will own one. It’s my duty. 100% agree! And love those with the high collars as well. So elegant! Love the colors, kinda of Good Morning World!